James Newman, MD, FACS, is a highly regarded facial plastic surgeon certified by both the American Board of Facial Plastic and Reconstructive Surgery and the American Board of Otolaryngology. He is on the clinical faculty at Stanford University and serves as a consultant to Palo Alto Veteran's Hospital and the Valley Medical Center in Santa Clara. Dr. Newman frequently lectures on the latest advancements in facial plastic and reconstructive surgery and holds several advisory board positions with institutions developing new technologies for plastic surgery. He has authored numerous scientific articles and has presented both nationally and internationally. Dr. Newman has also appeared on several major media outlets and has been named one of the Silicon Valley's Top Physicians by San Jose Magazine for two consecutive years. Dr. Newman specializes in facial plastic and reconstructive surgery. He offers several facelift variations, including weekend facelift, mini lift, mid-face lift surgery, ribbon lift and Silhouette lift. Each procedure varies in the degree of invasiveness, incision type, and number of tissue layers treated. The weekend facelift is performed under local or general anesthesia and addresses sagging neck and chin area. The midface lift rejuvenates the natural beauty and fullness of the cheek area. The mini lift, ribbon lift and Silhouette lift are minimally invasive facial rejuvenation procedures that are performed under sedation and deliver remarkable aesthetic results with minimal recovery time. In addition to facelift procedures, Dr. Newman offers eyelid surgery, rhinoplasty, brow lift, chin augmentation, facial implants surgery, ear surgery and cheek augmentation surgery, to name a few. He is also a skilled facial reconstruction surgeon who performs procedures such as reconstructive nasal surgery, scar revision, facial cancer excision and facial restoration after traumatic injury. 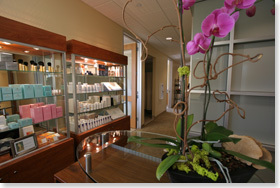 Dr. Newman is well-trained in the latest laser technologies and facial injectables. He performs a number of non-surgical facial rejuvenation procedures such as laser hair removal, laser wrinkle treatments, fat injections, Botox, dermal fillers and more. Dr. Newman performs surgical procedures at Premier Plastic Surgery, a fully staffed, accredited, state-of-the-art plastic surgery practice featuring the latest surgical equipment and laser technologies. Premier Plastic Surgery is also home to comfortable recovery facilities and board certified anesthesiologists for maximum patient safety. The surgeons of Premier Plastic Surgery also perform breast augmentation, tummy tuck, liposuction and other body sculpting procedures. 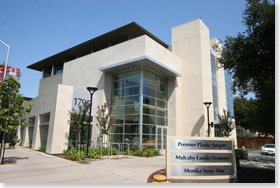 Dr. Newman also treats San Jose / South Bay rhinoplasty and eyelid surgery patients. Please visit the respective pages to learn more.